production photos on the Internet! Let’s start with the awesome, and not-Rossini, part: Curtis followed the short La scala di seta with Puccini’s Gianni Schicchi. Granted, Gianni Schicchi is a hard act to top with anything, but this one was the most uproarious hour of opera you could imagine. Together with the Curtis’s crack orchestra (conducted by Lio Kuokman), it was loud, energetic, and dramatically alive. Stephanie Havey’s production is a cartoonish farce, taking place in a bank vault, the floor littered with coins and various signs of wealth all around. (The sets are by Brandon McNeel and look great. How Curtis manages to consistently surpass the production values of many regional-level opera companies beats me. It also baffles me as to how I am unable to find any photos of these excellent designs!) The production was updated as well as aggressively localized, with the surtitles moving Signa to Jersey, mentioning cheesesteak, giving poor Buoso a casino in Atlantic City, making Schicchi a Democrat from the suburbs, and so on. It’s cute, funny, and, together with the manic committment of the cast, really works. Curtis preceded this with Rossini’s La scala di seta, which was new to me. The set gave us a steampunk confection of old scientific instruments, gears, and a mixture of present and historic images. I couldn’t figure out a logic behind this, but it looked nifty. More importantly, Havey and the cast kept a good balance between comedy and character development. Seemingly minor characters like servant Germano (sung by Dogukan Kuran) became big comic hams, failed suitor Blansac a dandy short on self-awareness, and Giulia a popular girl who knows how to get what she wants. Singing-wise, none of the cast members were totally consistent, though all had some strong moments. Johnathan McCullogh as Blansac seemed the most suited to Rossini, as well as showing excellent comic timing. The Academy of Vocal Arts’s production of L’italiana in Algeri was less happy. AVA has a very distinguished record of producing famous singers–relatively recent grads include Angela Meade, Michael Fabiano, and Stephen Costello–but despite some great voices their shows are rarely as polished as Curtis’s. They trade in the kind of über-traditional productions which dare you to suggest that opera is about anything other than la voce, and tend to produce exclusively warhorse operas. The repertoire makes sense for the students, but I can’t help but wonder about the stogy stagings. Dorothy Danner’s schtick-heavy production trapped the cast in convention and cliché, and none of them appeared to connect to the drama and to each other in the organic way the (mostly less experienced) Curtis singers did. Perhaps I am being overly harsh, because at this performance circumstances conspired against everyone. After their main run in Philadelphia, AVA brings their productions out for a single evening on the Main Line, which was the performance I attended. Heating problems necessitated a last minute change of venue from the Haverford School to Bryn Mawr College’s Goodhart Hall. Goodhart is possessed neither of orchestra pit nor surtitles but is endowed with a cavernous cathedral ceiling which did nothing for solo voices. 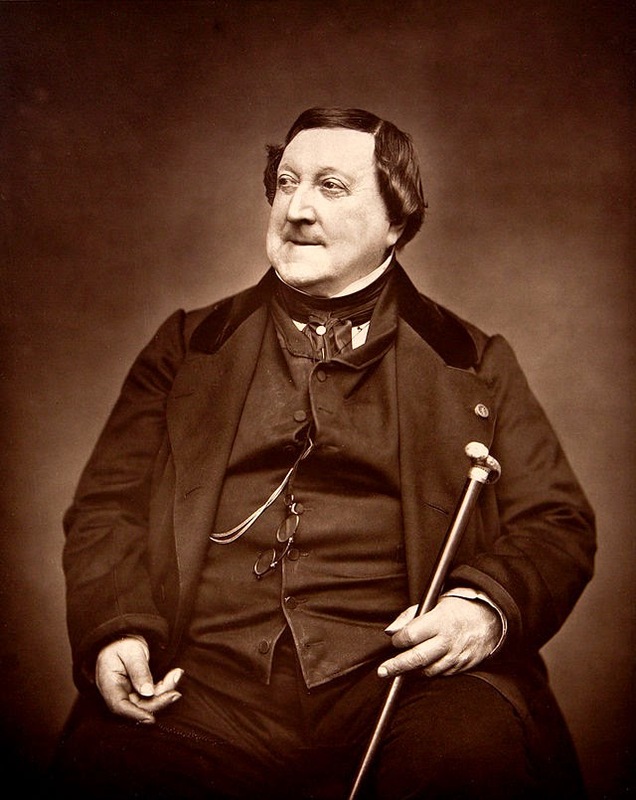 It also positioned the orchestra behind the singers, and lacks a Maestrocam-type monitor–meaning the singers had no eye contact with the conductor, hence the aforementioned white-knuckle Rossini crescendos. For the audience, the loss of the surtitles was the gravest blow. This is a funny opera, but most people were barely following the plot and no one was laughing at the jokes. This took a lot of air out of the proceedings, and I wished they’d simply postponed the opera until they could perform it properly. I liked that the orchestra went to the length to find a mezzaluna, however I wished its sounds had been as impressive as its looks. It loomed over the orchestra yet produced the sound of a few decorative jingle bells hung on a door. Winter in Philadelphia will be less Rossinian: AVA performs La bohème in February and Curtis does Ariadne auf Naxos in a co-production with Opera Philadelphia. Curtis will finish their year with The Rake’s Progress, and AVA with, in warhorse fashion, Faust. the Prince Music Theater, Philadelphi, November 21, 2014.